This project explores a new approach to presentations: no clicker, no slides. Instead, NFC-tagged objects enable the user to »pick up« topics. A sensor-equipped stage allows the user to go through each topic »step by step«. 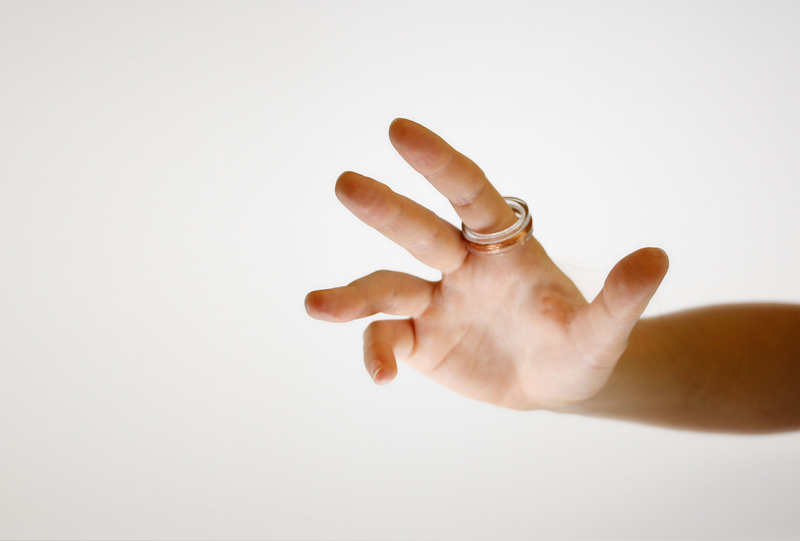 DataTouch is a smart, wearable, NFC-enabled ring. It can recognize NFC-tagged objects. It is used in live presentations by the presenter to control his presentation: each NFC-tagged object symbolizes a presentation topic. To activate a topic, the object is simply picked up. This can help the presenter to improvise during a live presentation, rather than having to memorize the topic order in advance and having to stick to this order during the event. A position tracker maps the user's position on stage to different points within each topic, so they can be »approached«, »walked through«, and »skipped«.